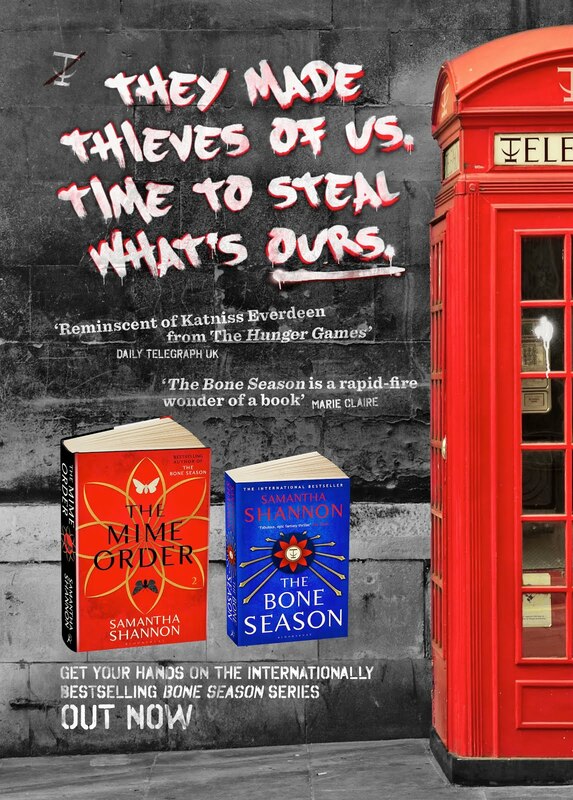 Amazon now has a page for The Bone Season hardback. Sans cover. Sans official release date. No idea if the price is correct. But I still got a little bit excited. There's only one week until I go back to uni. To my Finals year. My Finals year. I didn't realise this until I checked the date today. How did the last two years go by so quickly? Anyway, dark thoughts of studying aside - last night I went to Bloomsbury's Debutants of 2013 event in Bedford Square. There were eleven debutants, all of whom have their first novel (with Bloomsbury) coming out next year. They were: Melissa Harrison, Lara Feigel, Seb Emina, Claire King, Lucy Lethbridge, Kate Worsley, Ciarán Collins, Damian Barr, D. W. Wilson and Carlos Acosta. They're all incredibly talented people. I was a little intimidated because many of them already have previous novels and a strong public presence – Damian, for example, runs a regular Literary Salon, which can be downloaded from iTunes – but despite my extreme newness to the literary world, I was put at ease by how welcoming everyone was. I met several journalists and reviewers and more of the Bloomsbury staff. 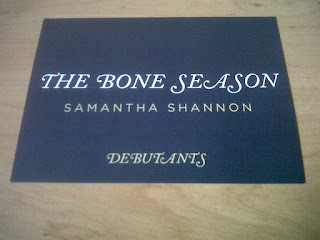 It was great to be able to talk to everyone about The Bone Season and the other debuts. At the end of the evening I was ridiculously excited to receive a bag containing some personalised postcards with The Bone Season on the front (see left). Most of the other authors already have their covers finalised, but D. W. Wilson, Carlos Acosta and myself all got these ones. Carlos' book is coming out even later next year than mine! We also got a Debutants booklet containing excerpts from all eleven novels. I'm going to sit down and read them all tonight. I can only hope the people who read the excerpt from The Bone Season – the first chapter – will enjoy it. It was an amazing experience to 'read' the book on paper, even if it was only a few pages. It gave me a sense of what it will look like when it's all bound and finished. We also had the pleasure of hearing Alexandra talk about each of the books. She managed to make each and every one sound exciting. I'm looking forward to 2013 even more now. Check out Claire King's report of the evening for some little summaries of each book. On the book front: Justine, my copy-editor, just got back to me with notes and comments. I was relieved when she said how much she'd enjoyed reading The Bone Season. It gives me a great feeling when someone tells me that working on the book didn't feel like hard work. I'm going to spend the rest of today going through the comments and seeing whether or not I agree with Justine's changes. So far I agree with all of them, so I should be done by tonight. I also discovered that the copy-editor has another responsibility: to mark up the manuscript for production. The version Justine has sent me is covered in phrases like "new recto, verso blank", "centre on page", "range right" and so on, indicating how the book should appear when it's typeset. I'll update again once the copy-edit is finished. Don't forget to ask if there's anything you're curious about. 1. Did you query an agent who then submitted you to Bloomsbury, or did you just go straight to querying publishers yourself? I've been meaning to talk about agents so this can be my topic on Sunday! Have you got a link to your blog? Thanks! Now feeling sad that I can't speak Finnish. I have a question: When you write, do you write the chapters from the first to the last? I do. I always force myself to do it, or I'm tempted to skip ahead and write a particular scene. I find it interrupts the flow a bit if I keep skipping around. What a great insight into the publishing world you've been giving us! I read all your posts and I'm thankful for the excellent information you pass on - I learn something new each time. The debutante night sounds like it was awesome. Do you ever get butterflies in your tummy just thinking about holding the finished book in your hand? How do you juggle writing a novel with writing essays for uni? Hi! So glad it's helping. I do get butterflies. I was excited just to see the first chapter on paper - really gives me an idea of what the book will look like. I can't wait to have the finished hardback. In answer to your second question: with difficulty. My essays always feel a bit rushed. Just hoping I can manage to get through next year - I'll have to cut down my writing time quite a lot. I'm back to uni next week, so we'll see! Not allowed yet, sorry! But there will be some exciting news this month. So I'm told. So fingers crossed.